Slim and lightweight yet rugged and high-performing – the Xplore XSLATE R12 by Zebra is a true all-rounder that adapts to virtually any kind of environment. Use it in your office, take it along in a vehicle or use it for field work. Its large, bright display and multiple features and connectivity options allow a broad spectrum of applications and ensure convenient and reliable operation. The XSLATE R12 also provides a choice of processor options and several security features. Maximum flexibility for optimal usability. Designed for the daily challenges, the Zebra Xplore XSLATE R12 tablet computer is suitable for tasks in a management office as well as on a construction site or in a factory. Mobile workers and security personnel also benefit from the versatility of the sleek slate PCs. The XSLATE R12 comes with a large 12.5-inch Full HD display and can be conveniently operated with fingers or with a Wacom pen which is available as accessory and fits into the provided slot. Due to the bright 1000 Nits “View Anywhere” screen, the tablets can be used indoors as well as outdoors and remain readable irrespective of lighting conditions. The surface is smudge-resistant and anti-reflective. 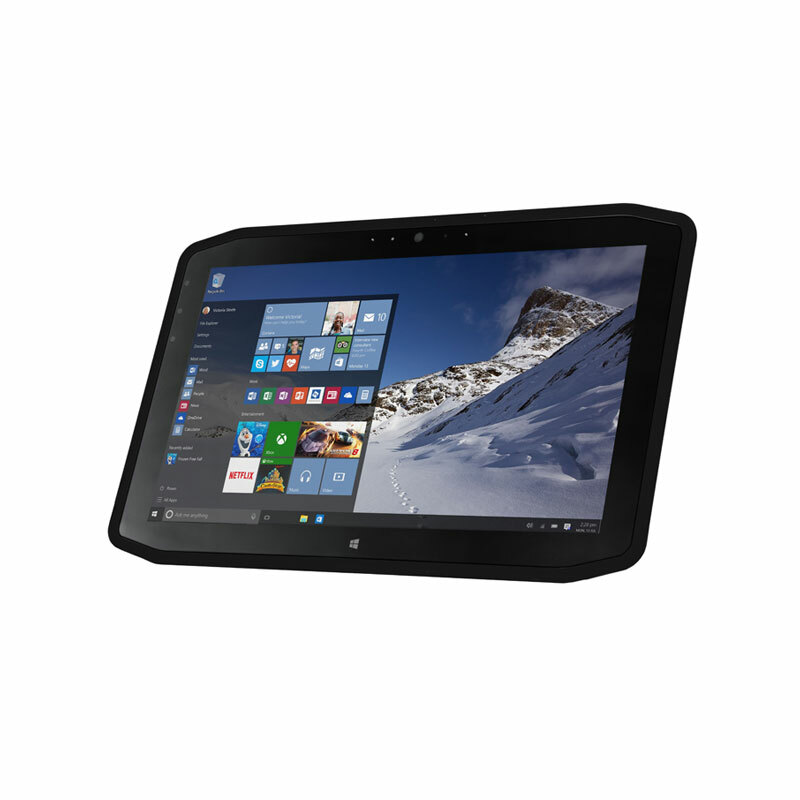 The Zebra Xplore XSLATE R12 runs Windows 10 Pro 64-bit. For the i5 processor, the operating system is also down-gradable to Windows 8.1 Pro or Windows 7 Professional. To enable fast and reliable data capture, the Xplore XSLATE R12 by Zebra can be equipped with the SlateMate module which includes a barcode reader, a High Frequency RFID reader (read and write) and a serial port. Additionally, a CAC/Smart Card reader can be integrated. The XSLATE R12 comes with an 8-megapixel rear and a 2-megapixel front camera. Turn the XSLATE R12 into a 2-in-1 device: By means of the ultra-thin, Bluetooth Companion Keyboard with a foldable kickstand, the Zebra Xplore XSLATE R12 can be converted into a handy laptop. This useful option, which can be attached to the tablet magnetically, makes the compact mobile computer even more versatile. 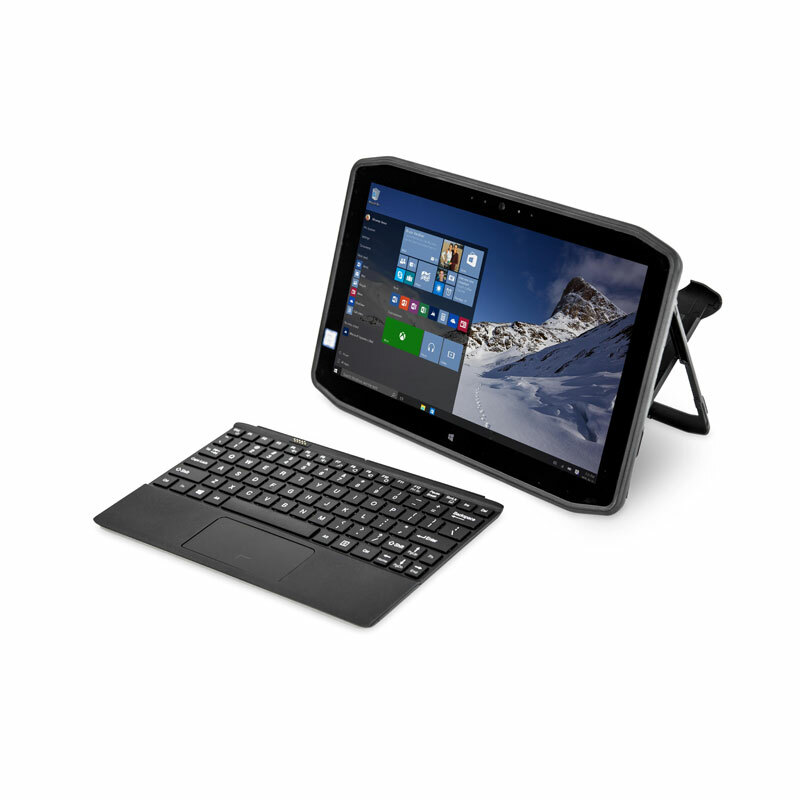 The Zebra Xplore XSLATE R12 tablet computer provides mobile computing power with a slim, lightweight design, due to the internal magnesium-alloy structure and rubberized casing. The materials are particularly robust and ensure protection against drops from a height of 1.2 m. The ruggedized mobile computers comply with MIL-STD-810G standards and are resistant against shocks and vibrations. Also, they are sealed against the ingress of dust and water according to protection class IP54. Scratch-resistant Corning Gorilla Glass 3 protects the display. The versatile devices can be operated within a temperature range from -20 °C to +60 °C. 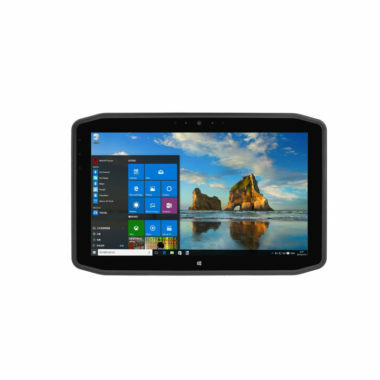 The XSLATE R12 tablet PC is also C1D2 certified and suitable for hazardous locations. Its battery lasts for up to 9 hours and is hot-swappable. To ensure high security standards, the Zebra Xplore XSLATE R12 is equipped with a fingerprint reader and TPM 2.0. The removable SSD storage also contributes to data safety. Accessories: Mobile Dock (for secure vehicle mount with full port replication), Industrial Dock (with full port replication), Docking Station (for desktop utilization, collapsible “grab-and-go”), Battery Charger Kit, RJ45 + RS-232 Dongle, USB Keyboard etc.